I have written a few posts previously on cloud computing and how it affects costs, software and business models. I came across a nice article in Forces which details how businesses like Instagram and Snapchat can use the cloud to grow very quickly at minimum cost. Once such businesses grow, they can acquire a large value (e.g. WhatsApp recently), without actually having much in terms of what accountants would associate with value i.e. assets. John Teeling founded Cooley Distillery in 1987. In January this year, he signed off on a deal to sell the business to global spirits firm Beam (see here) US firm to buy Cooley Distillery – The Irish Times – Fri, Dec 16, 2011. On January 14th 2012, Dr Teeling gave a very useful radio interview on his life is business. Have a listen to the podcast here (January 14th, 2012). There are a few things of interest. 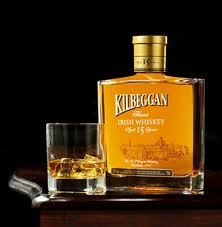 For example he tells the story of why Irish whiskey sales declined from 60% to 2% of the world market in the past. And how in 1960, he was one a few people in Ireland you could do Discounted Cash Flows – something we take for granted nowadays. In recent years hard economic times have hit Ireland and other developed economies. According to an article in the Guardian over a year ago now, the number of businesses failing in Ireland was 5 times that in 2010 – a huge chunk of these being construction firms. I hope have some sympathy for many of the hard-working business people who perhaps have seen a lot of their money lost. But, there is a part of me (probably the accountant) who is not at all surprised at so many Irish businesses failing. Why? Am I getting more cranky (Yes, of course I am)? Well, let me give me a few of many examples I have encountered over the last few years which seem to show poor decision making. But before I do, I should say that many Irish businesses who started during the “boom” years were already doomed to failure due to a pretty high cost structure e.g. rent. The first example dates back about 2-3 years now. In the area where I live, we collect an amount of money each year to help maintain the common greens in the area. The landscaping business doing the work was charging about €7000 per annum and a new landscaper offered to do the work for €4500. Both were sole traders with similar costs (as best I could guess at least). The original landscaper said he could not do the work for that price and would not even reduce his current price, so the business was lost. Now I don’t know what either landscaper was thinking, but it fairly obvious that the original landscaper was living in the boom years in my opinion. He could have reduced his price by some amount, say €1500. This would mean his net contribution would fall by €1500, but instead he lost €7500 – a bad decision. The second example relates to a really nice bakery I visited recently in a more affluent part of Dublin. Yes, the price is of course going to be affected by the area, but having paid €4.60 (ok my wife bought it) for a loaf of sour-dough bread I thought this is not a sustainable business. Even people in affluent areas cut back on spending in lean times. The point here is that I thought the price was more reflective of a time four or five years ago. The third example relates to an employee within a business. The employee left as €900 per week income was not “enough” for him. The job involved manual labour and some skills, but nothing that could not be replaced readily. The right decision was made by the business owner, which was adiós amigo. The employees decision was rather silly though, as the immediate income from social benefits would be way lower. These three examples to some extent portray how high prices may have become engrained in the minds of business people following many years of the Celtic Tiger. I like to study how practices have become accepted/taken-for-granted, or institutionalised. When practices become institutionalised, there are hard to change. So I wonder are businesses in Ireland failing because some business owners cannot make the change in their minds to reduce costs or prices? In other words, they are finding it hard to break the institutionalised practices associated with past more affluent times. I know there are many other factors, but based on my experience, at least some business failures in Ireland result from a failure to change mindset. Does accounting prevent creativity and innovation? Accounting is often criticised, and one of the common criticisms is that too much focus on money in a business causes a short-term focus which may not be good for a business. I would agree to an extent, probably because I am more into management accounting and have seen businesses take bold decisions which eventually paid off. Of course, financial accounting (the external reporting of results basically) is less helpful (or “completely useless” as one business owner told me a few weeks ago) in situations where decisions need to be made. And sometimes, these decisions involve a lot of brave and bold creativity and innovation which accountants seen to have a reputation of pouring cold water on. Lego, loosely translated, means “to put together” in Latin. But “to put together” doesn’t fully encompass the value – and purpose – of those buckets of colorful bricks. Legos are about putting together, then taking apart, then reassembling in new ways. That’s why I got so upset recently when a friend told me that she and her daughter had built a pirate ship out of Legos, arranged the pieces until they were just right, and then glued the whole thing together. That, I exclaimed, is not the point. Legos unleashed my creativity when I was growing up. They drew out the part of me that had to know what things looked like from the inside out, how they worked, how they might work better. The hours I spent with them — sprawled on the floor, building and rebuilding, puzzling and visualizing — became my first lessons in engineering. There was magic in those little bricks. There still is. 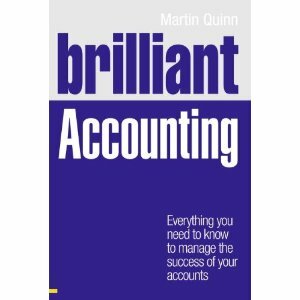 Reading this I wondered how would Savitz be as an accountant. I think he would have a good chance of being creative, but not in a bad way. I think, like the Lego, he might be throwing away the rule book and creating accounting information which might meet the needs of the organisation where he was working. This of course is what good management accountants should do, but do they all? I don’t know, perhaps its partially our fault (i.e. educators) and we need to encourage lateral (but always ethical and proper) thinking about accounting. The second article I read was in this week’s Time, “What would Steve do?”. 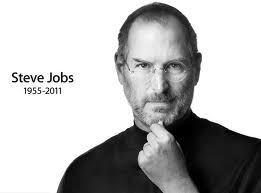 Steve Jobs was an obviously brilliant innovator – and eventually made Apple one of the richest firms in the world. In the article the author (Rana Foroohar) makes a strong claim, but she is probably fairly correct. She states ” Jobs stands out as an exceptional leader not so much because of his in-your-face style, but because American business has become dominated by bean-counters focusing on hyper-efficiency rather than by innovators focused on real growth”. I suppose this is a classic case of too much focus on short-term financial goals over longer-term business development and growth. I don’t have a quick-fix solution for such a problem, but certainly an open mind by accountants towards innovators would help. Anyone who has started a business from scratch knows how hard it is in the early months (or even years). 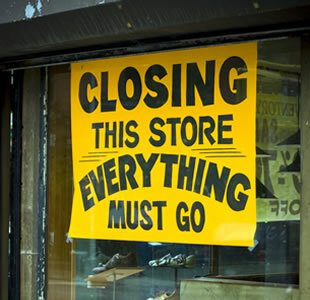 Lots of businesses seem to fail too in these early times. Why? Well, there are many reasons from just bad timing, to poor marketing, poor quality and so on. There is also the possibility that the business simply did not understand its costs structure and how this relates to the volume of sales needed to make a profit. The US Small Business Administration (and similar organisations world-wide) provide good advice for start-ups. One key concept on understanding costs and volumes is called breakeven. This simply means the output level at which your business neither makes a profit nor loss. To keep it simple, if a business knows its start-up costs and running costs for the first year, it can easily work out the level of sales required to breakeven – this output level is known as the breakeven point. To work out the breakeven point, you need to separate variable costs and fixed costs. Fixed costs remain the same regardless of how much your business sells (e.g. rent) and variable costs change as the output grows (e.g. labour costs , shipping cost, material costs). For breakeven, the sales value less the value of variable cost must be equal to fixed costs; any surplus is a profit, any deficit a loss. Doing this quick sum could save many businesses from going under. In fact, as a management accountant I would suggest a breakeven calculation is included in all business plans. I would say that, but why go into business to lose money? Or at least know when you will start to make money? While having a regular look on inc.com, I found this interesting blog post from Steve Blank’s blog. He writes that financial statements are not the best thing to use to monitor a start-up business. 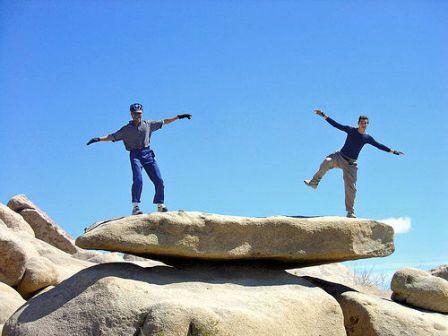 Sometimes banks or venture capitalists insist on things like regular income statements and balance sheets. While I don’t think it’s right to say “no accounting”, there is a point in the pieces in that a start-up might be much better served concentrating on more important performance indicators. Have a read and see for yourself.